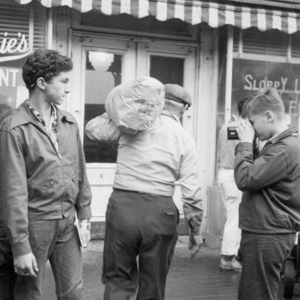 Students take photos and make observations out front of Happy Louie's Restaurant on a trip in the city. 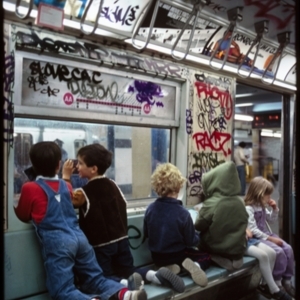 Students ride the subway on a field trip. 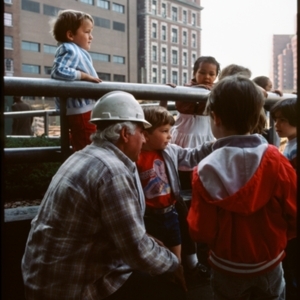 Students chat with workers on a local construction site during a field trip. 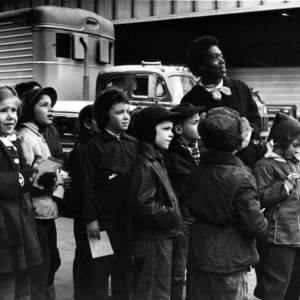 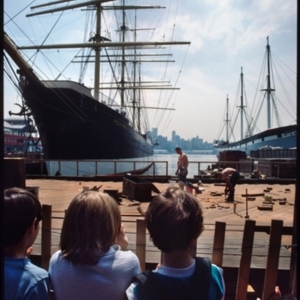 Students take in the view of ships on a trip to South Street Seaport. 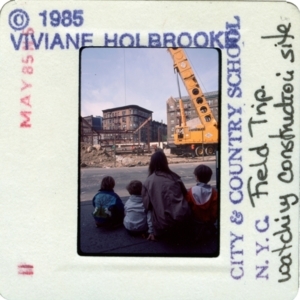 A teacher takes students to visit a nearby construction site. 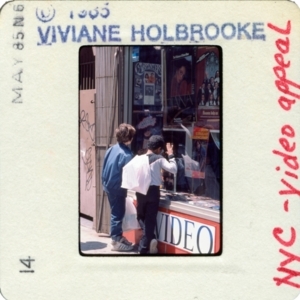 Students peer into a video shop on a walk around the neighborhood as part of their Social Studies. 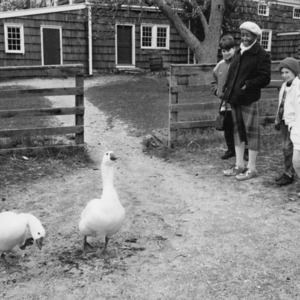 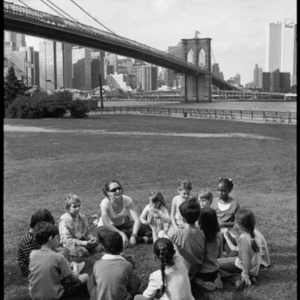 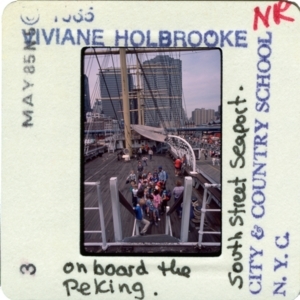 Children explore the Peking at South Street Seaport on a research trip.